“Because WHATEVER doesn’t work here anymore” is the tagline for 8th Grade Etiquette Workshop. Simply understood, it is no longer enough to shrug off the details, to lack initiative or great manners, a great handshake, or great conversational skills. Rather, in today’s world, each of us needs to find something that differentiates us in the interpersonal marketplace. This is what “Etiquette Class” is all about, and it is why the Marketing Director at The Lexington School teaches it. Marketing oneself matters, and making way for manners can make a difference. Etiquette Class started years ago at The Lexington School. Early on, it was taught once a week, a Specials class like art and music, and it covered a lot of material that today might seem a little obsolete. Yet, much of what it covered is still alive and well and makes a difference for our students as they prepare for their transitions to high school, college, and work experience. It is a fast dash to the dinner, but these kids understand the relevance of the workshop, and they are eager to learn. They already know what’s “out there,” the vast talent (and competition), and they understand personal marketing and branding better than those who generationally precede them because this generational group is plugged in, watching the world, wanting to make it all work. You can see it in their eyes and in their willingness to share. 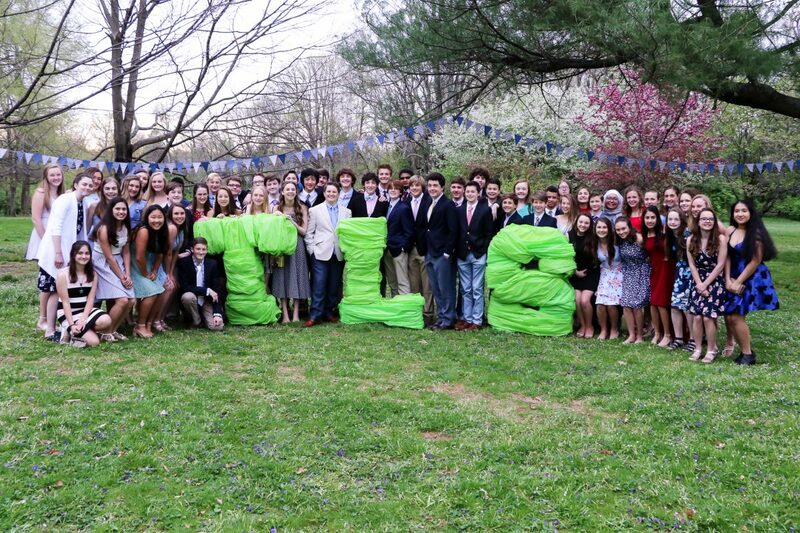 Fast forward through the two-day workshop and find everyone at Scarlet Gate at the 8th grade (Etiquette) Dinner. It is April, cloudy and cool outside, but the jonquils and blue bells wave hello as girls in spring outfits and boys in coats and ties arrive for the party. They mingle in vibrant conversation and eventually come to table where the boys assist the girls with their chairs. Napkins in laps, they proceed through dinner with vitality and grace (and yes, they brought their personalities with them). At the end of the night, they stand and toast their parents, teachers, and classmates. They say things like, “This year has been the most amazing year of my life” and “If it weren’t for the people in this room, I wouldn’t be who I am today.” It is impossible to describe how polite, brave, and articulate these young people are. They seem years older, more experienced, SO different than your typical fourteen-year-old “kid.” In fact, they are essentially fabulous and ready to keep building on the skills they have learned here at TLS.